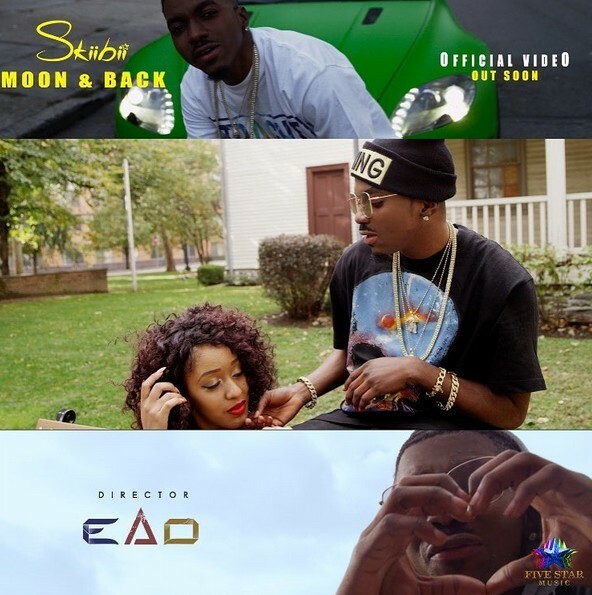 ​SKIIBII makes a quick return following his successful release ‘LONDON’ with this sweet sound ‘MOON AND BACK‘ which he addresses as his first love song ever released , song produced by MYSTRO with a beautiful video shot in ‘New York’ by Director EAD. Nollywood actor, Emeka Ike whose 14 year old marriage was dissolved earlier this year, due to alleged domestic violence, says he could still take his ex-wife back if she confessed and got herself back together. On July 13, 2015, his ex-wife approached the court to dissolve her marriage with Emeka Ike, accusing him of physical and verbal abuse throughout their marriage. Emeka Ike went on his knees, with tears running down his face and pleaded with his wife to take him back, she refused. He also asked the court to reconcile them but Emma insisted that she wanted a divorce, which the court granted. She also agreed for him to have full custody of their 4 children. "Love never dies. Real love doesn’t die, forget what we are talking about. The Bible says that “love covers multitude of sin.” She’s the mother of my children. She was nobody when I met her, she never knew her father. I built a house for her family in Lagos and also in Isoko. I trained her up to the master’s degree level. I gave her the exposure she needed in life. There are thousands of pretty girls who would want to marry me the first week we got divorced. But I am a gentleman, it is not about marriage for me now, it’s about doing the right thing. What is wrong with my woman? If it’s something we can redeem her from, we will still redeem her. Forget about marrying her again. I don’t need to marry again, but I need to know what was wrong with my wife. I need to know why she started blackmailing me. “The marriage is over. I have moved on with my life. I am not willing to talk about it again. His actions have not shown that he’s remorseful". Governor Umaru Tanko Almakura of Nasarawa state and his Wife Hajiya Mairo, paid President Buhari a visit, at the Abuja House, London yesterday August 18th.